One-of-a-kind. In February, 2015, I was contacted by Kris Waldman, Artistic Director of The Hopkinton Center for the Arts (HCA). 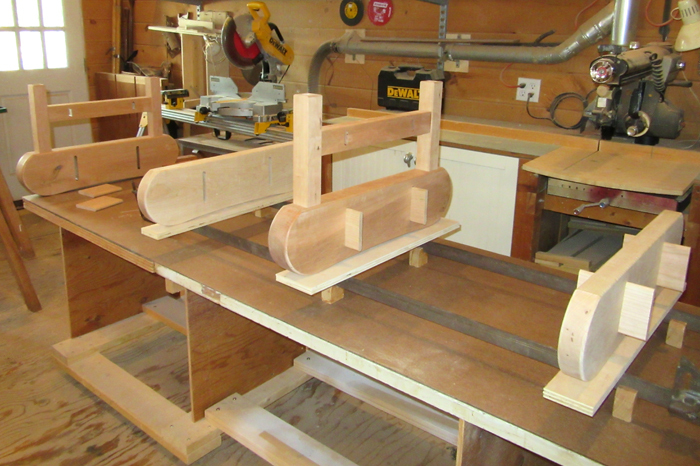 She had heard about the 300th anniversary bench, and wanted to know if I would be interested in designing and building a bench for the HCA which was undergoing a major renovation of their barn. 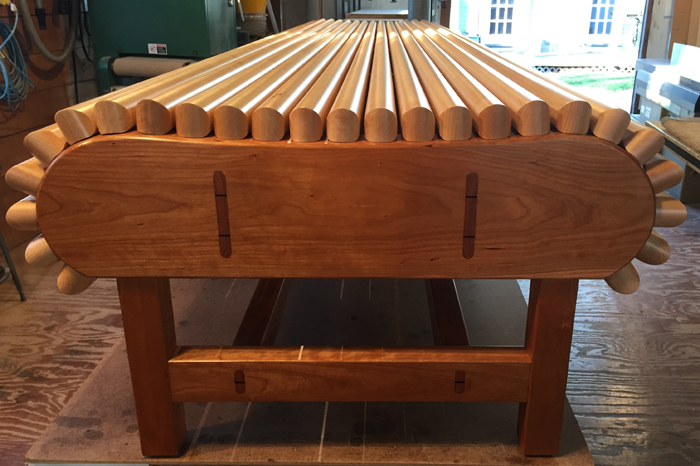 As with the 300th bench, this project was also an honor, and a privilege, to participate in. At our first meeting we quickly decided that this bench needed to be art-conscious. 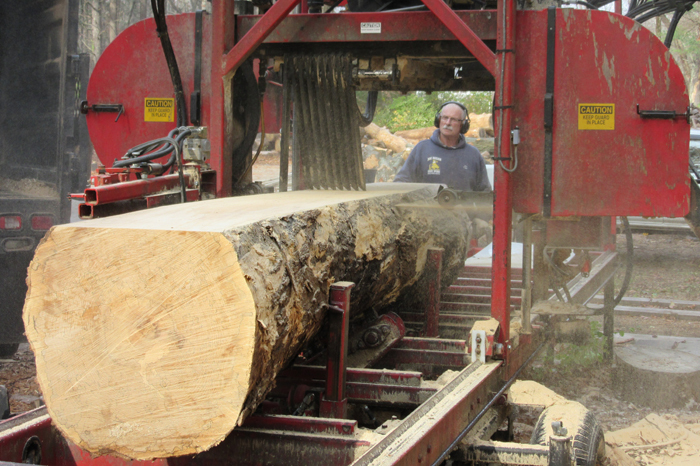 After all, its home would be The Hopkinton Center for the Arts. At our second meeting, I showed Kris a proposal drawing of a bench I had done in 1998, for the Newton Art Center. The proposal was rejected, but I thought the design was still viable, and offered a starting point; she agreed. I reworked the design and submitted it to the HCA. 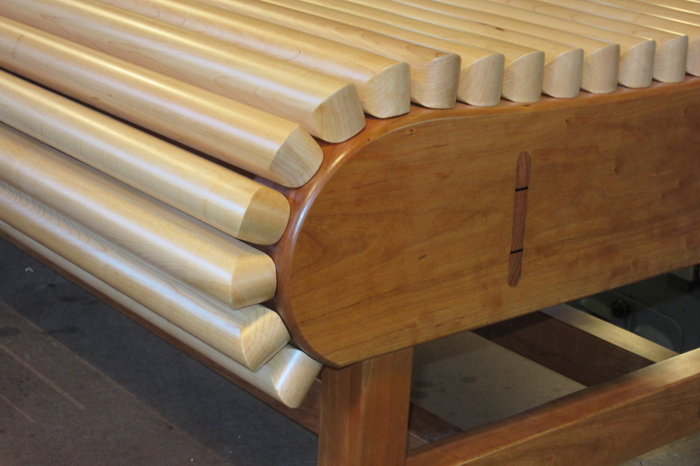 The design was approved, but Kris suggested making the bench “as long as possible”. 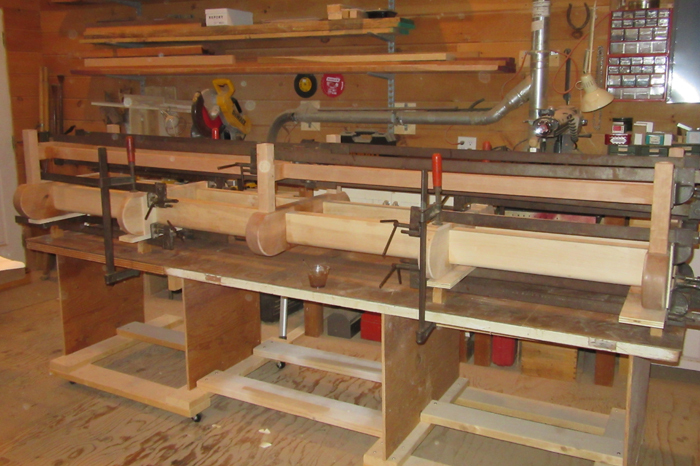 Fortunately, there was enough Hopkinton cherry left over from the 300th bench to build this frame as well. 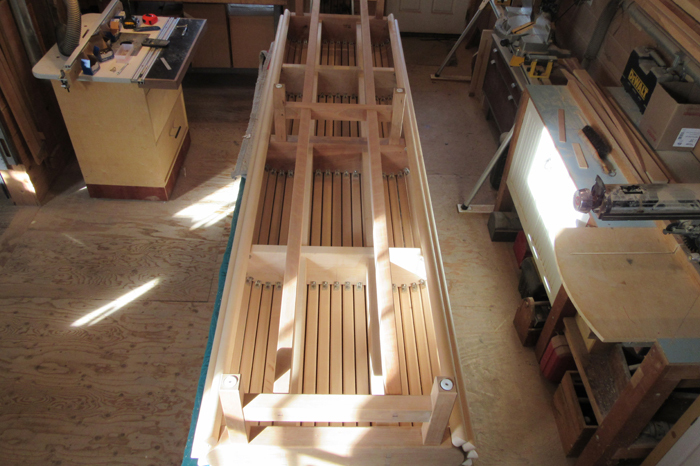 However, I soon realized that the submitted design for a slatted style seat was not going to work; the curves of the bench frame were too severe. With luck, I remembered the tamboured lid on an old roll top desk given to me by my grandfather years ago. 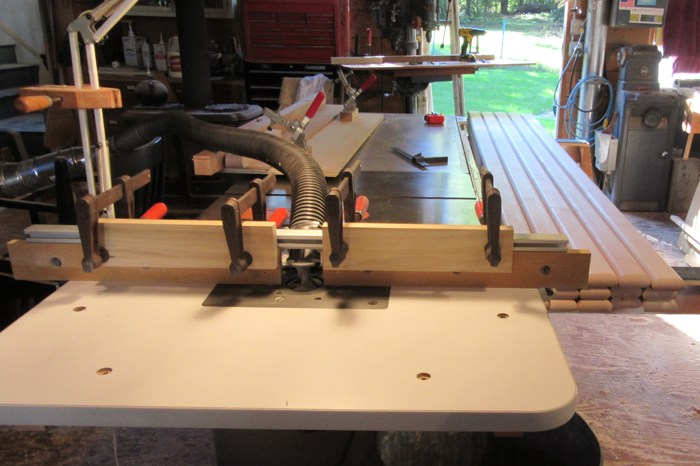 I opened and closed the lid a few times, and watched the tambours follow the curves of the desk frame. 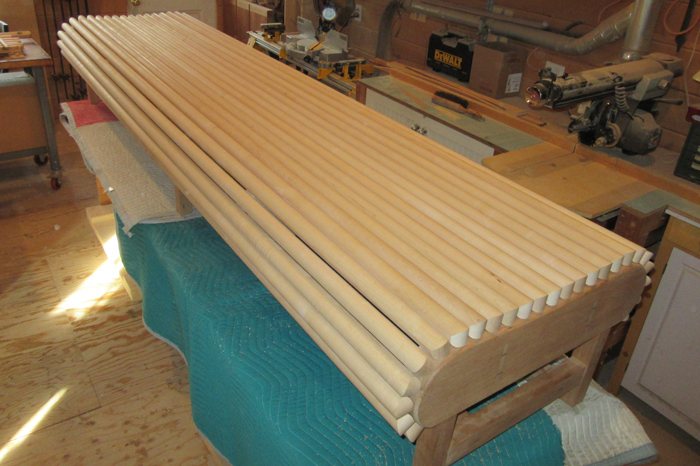 I then made some model tambours out of poplar, but with a larger radius than the desk tambours. 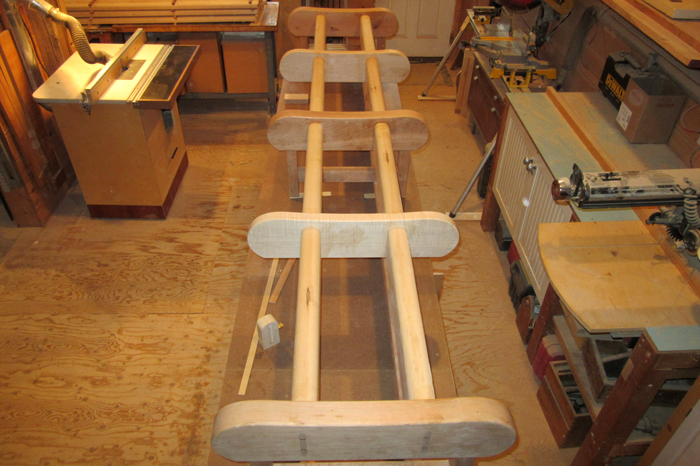 After several tests I knew “tambours” would work for the seat instead of slats. I contacted the HCA, and the design change was approved. 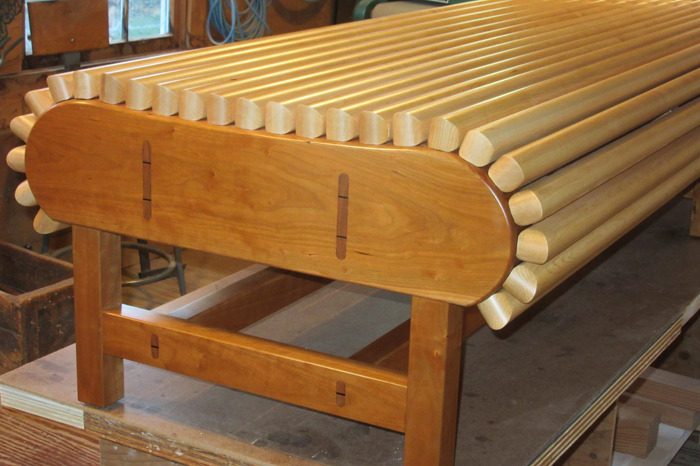 The bench has 25 tambours. 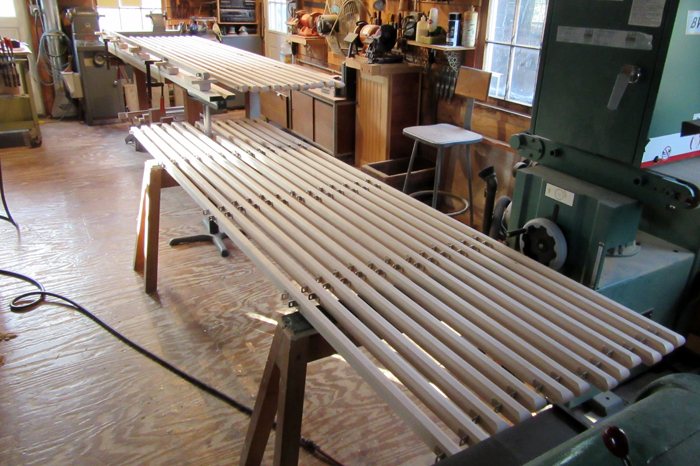 Each tambour has 8 fasteners, or 200 overall. Each fastener has 3 stainless steel screws, or 600 overall. 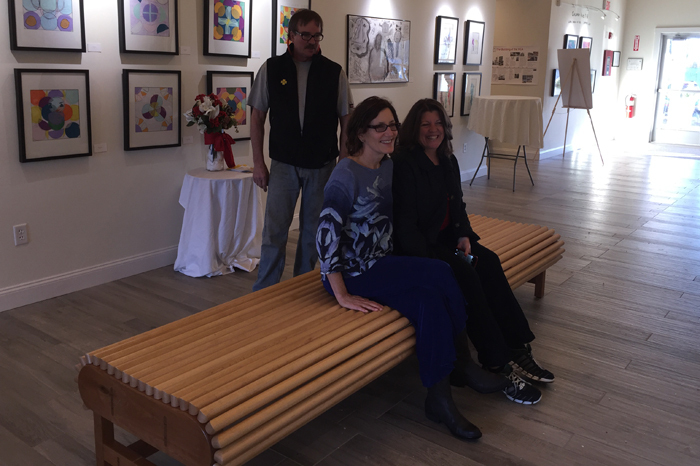 Roll Top Bench was funded with a grant from Hopkinton Poly-Arts, and installed at the Hopkinton Center for the Arts on December 5, 2015.